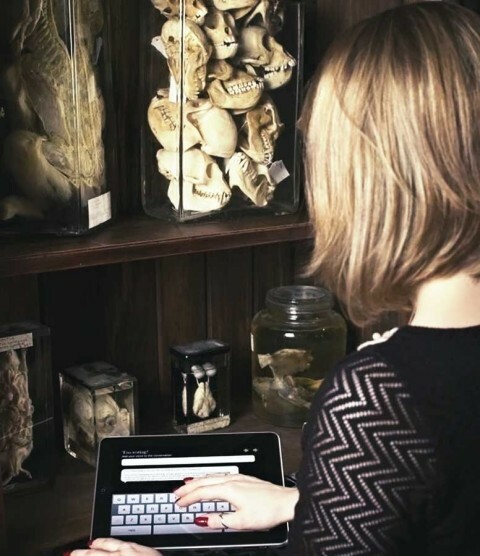 UCL’s Grant Museum acts as a test-bed for new technologies for visitor interaction. Academics from several UCL departments developed QRator, a ground-breaking interactive iPad label system. The success of the museum pilot led to QRator’s being cited internationally and to a subsequent funded collaboration with the Imperial War Museum. UCL is now partnering with University of the Arts London in the Share Academy programme, which aims to broker academic partnerships with London’s specialist museums and bring QRator and similar innovations – notably an experimental UCL Museums developed measure of wellbeing – to the wider cultural sector.